Operation Explore has a network of exceptionally gifted people with a variety of talents and skill sets. Using the “Hollywood” model, OE determines the team member(s) best suited for the program at hand, ensuring it is never ‘one size fits all’. Jeff, Founder and President of Operation Explore, is an organizational development practitioner with a focus on Culture, Strategy and Structure. He specializes in highly customized and engaging organizational development learning processes. A core niche is the use of experiential learning as a ‘practice field’ for the application and development of skills, knowledge and shifting mindset. His primary focus is to shift mindsets, perspectives, create alignment, focus and energy. One of his passions is working with family owned businesses with a desire to manage transitions from one generation to the next. The ultimate goal is to stir curiosity about people, skills, performance, strategy, and self, while igniting the fire and passion within. During his down time he enjoys spending time with his wife Valerie – his college sweetheart and wife of 25+ years and his three daughters: Kierra, Mikaela and Ainsley (two are in college). He enjoys mountain biking, paddle boarding and adventure. Ian joined Operation Explore as Managing Director in October 2000, after 20 years as a chartered accountant in England. Ian spent 10 years with Deloitte in Manchester, England and Portland, Oregon and 10 years at Lathams a major independent firm in the NW of England. Ian has a B.A.(Hons.) in Accounting in Finance and is a Fellow of The Institute of Chartered Accountants in England & Wales. Ian’s hobbies including watching all sports, having now retired from a long career in the Cricket leagues in NW England and he enjoys spending time with his family. Roger has 35 years of experience in the field of leadership & management training and designs and delivers development programs in: Change Management, Organizational Change, Developing Leaders & Their Teams. 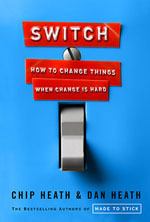 He consults with organizations who are either going through change or needing to re-shape organizational culture. He is our specialist in instructional design and the design specialist who has created unique interventions including The Consultancy Raid, Learning in a Briefcase, Teamworks. He is also our designer for bespoke case study design. He has designed learning solutions for companies in the US, Europe and works in a range of sectors at Operation Explore including: banking, retail, transport, pharma, manufacturing as well as the public sector. During his time as a Harkness Fellow he was based at The School of Management at Arizona State University where his interest was Teaming and Self –Managed Teams. He is a Graduate of The London School of Economics, University of London, and a Masters in Educational Studies from University of Leicester where his thesis was on Adult Learning. Nate is a versatile experiential training and development practitioner, author, and consultant with more than 20 years of experience. Nate engages individuals, teams, and organizations in interactive learning experiences that are both personally and professionally fulfilling. Specifically, he enhances organizational development journeys, team & leadership development programs, and onboarding processes through the effective use of experiential activities, reflection, dialogue, action planning, and accountability. These enhancements make development efforts and conceptual content such as emotional intelligence, teaming, company values, leadership, culture, and change management more engaging, relevant, and practical. Nate’s approach to working with clients and colleagues is intentional, collaborative, and emergent. The results: training and development experiences that are intentionally designed, responsively relevant, and remarkably engaging; ultimately making a difference in the lives and performance of a variety of groups. Author of “The Hundredth Monkey: Activities that Inspire Playful Learning,” Nate enthusiastically invites others to discover the value of engaging in playful moments, building authentic relationships, and developing emotional intelligence and a growth mindset. Nate lives with his family on a small hobby farm in southern New Hampshire. 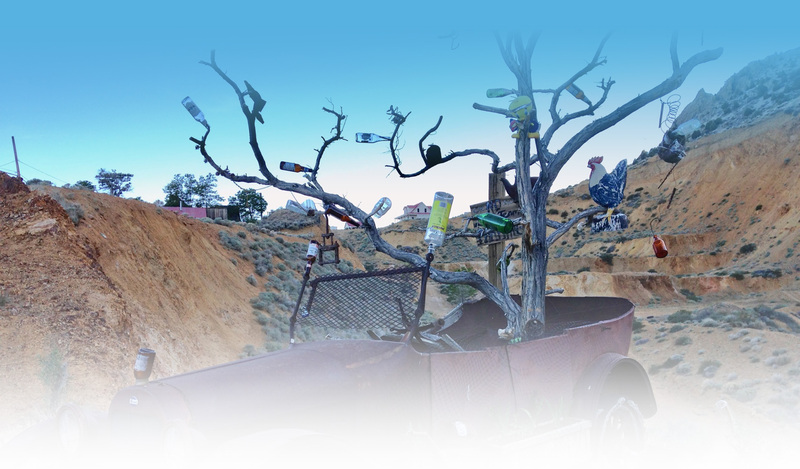 He enjoys time with his family, gardening, music, and a range of outdoor activities in both the mountains and ocean. Jeanne’s passion is to design and facilitate engaging, interactive, and purposeful workshops that help individuals and teams become more effective in their communications with each other and with their customers. Jeanne has been an Organizational Development consultant and facilitator for the past 20 years. She has worked with clients in the USA, Ireland, Denmark and Romania. Jeanne has facilitated workshops for all levels of employees from top executives to line workers in Fortune 500 companies. Her trademark is her ability to present concepts and models in language to which anyone can relate. Jeanne worked for Project Adventure, the largest not-for-profit Experiential Educational Training Organization in the country, as a Training Consultant/Facilitator. Focusing on teambuilding, leadership development and culture change, Jeanne worked with corporate clients such as Coca-Coca, BMW, Kodak, First Union Bank, MCI and Sprint PCS. Additionally she facilitated programs with teachers, youth-at-risk, college sports teams and medical students. Jeanne was the Vice-President of Program Development for the Georgia 100 Executive Mentoring program. For this position she interviewed hundreds of executives to determine the intricacies of their career paths and to examine their skill sets, determining their mentoring qualifications. Jeanne graduated from Western Michigan University with degrees in Marketing and Psychology. She attributes her affinity for facilitating workshops to three things: 10 summers in her youth as a camper and a counselor at YMCA camp, her love of and participation in sports, and her innate ability to see through roadblocks and offer solutions. Through the development of custom adventure activities, games and simulations, Gino facilitates change that specifically address client expectations. He is especially proficient in skills-building in areas such as productive conversations, real teamwork, decision-making, developing shared values and vision, and building more authentic relationships. Gino has developed many music-based (percussion) workshops for Operation Explore client, Pfizer Pharmaceuticals, which were delivered in San Diego, Venezuela, New York and Miami. Bill’s trademark is his ability to translate difficult business issues into thought-provoking simulation experiences. He works with executives to design and implement initiatives ranging from Strategic Planning, Culture Change, Leadership Coaching and Team Development. The result of his work is that individuals, teams and organizations achieve bigger goals, form better strategies and experience greater synergy. Co-Creator of the Concept of Team Emotional Intelligence. Vanessa is a world expert on emotional intelligence and team emotional intelligence. 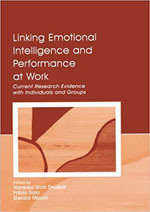 Together with her colleague Dr. Steven Wolff, she co-authored the Harvard Business Review article on Group Emotional Intelligence, which brought the topic of Team Emotional Intelligence to wider attention. Pam’s specialties are courses in Outdoor Leadership, Challenge Course Management, Facilitation Methods, Models, and Tools and Leadership Practicum. Pam has most recently been pursuing opportunities to utilize methods and practices from the field of Equine Assisted Learning to support the development of effective teams and leaders. 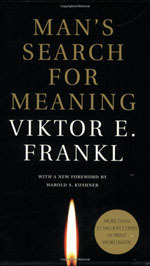 Pam recommends reading “Man’s Search for Meaning” by Viktor Frankl. Judy is the author of “Unlikely Teachers: Finding the Hidden Gifts in Daily Conflict”, which offers leaders skills for transforming conflict and communicating skillfully. A black belt instructor in the martial art Aikido, Judy provides leadership development and presentation skills training internationally using Aiki principles and techniques. 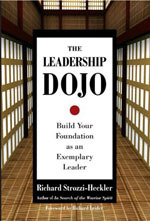 In addition to her own book, Judy suggests reading “The Leadership Dojo” by Richard Strozzi-Heckler. Mark has spent 20 years in the fields of education and organizational development specializing in leadership, experiential training and team development. He designs and delivers custom learning solutions for organizations in a variety of industries including manufacturing, health care, retail, defense, education and government. 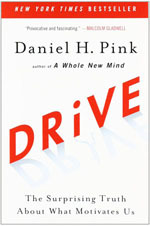 Mark recommends reading “Drive” by Daniel Pink. Alex focuses on three main approaches: Behavior -- he is a Master Facilitator and representative for TetraMap International a New Zealand based behavior learning tool; Dialogue -- with the Lego Serious Play Method with Storytelling; and Experience-Based Learning. 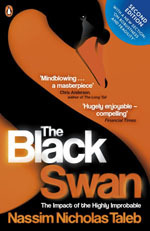 Alex recommends reading “The Black Swan” by Nassim Nicholas Taleb. Kristin's brings her personable energy to leadership development and team coaching using experience-based learning and group facilitation. She is an expert at helping work groups have important conversations that matter. 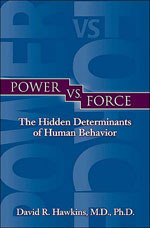 She designs experiences to bring about increased self-awareness and team esteem resulting in improved work performance. 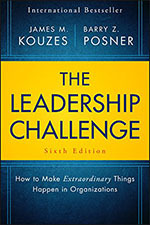 Kristin recommends reading "The Leadership Challenge" by Kouzes & Posner.